Secretbook, a new Google Chrome-only extension, allows users to encode secret and difficult-to-decrypt messages in their Facebook pictures. The extension, created by 21-year-old former Google intern and current Oxford University computer science student Owen Campbell-Moore, encrypts messages into JPEG images, which can only be received and decoded by someone with the correct password. The process of encoding images with messages, called digital steganography, had never before been accomplished on Facebook. The messages have a 140-character limit for now, and while Campbell More created the program as a school project, it could have very real and far-reaching real world consequences. Many have already expressed fears that Secretbook could be used as a tool for terrorists to communicate with each other, and while Campbell-Moore is certain these encrypted messages can be detected by interested parties, he isn’t sure if curious government entities could keep up with the sheer traffic of photos on Facebook. What do you think about the real-world application of Secretbook? 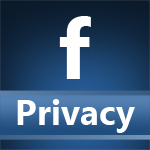 Is it a win for user privacy, or another loophole for malicious-minded Facebookers to exploit?